DownWithTyranny! : Can The Democrats Retake The House Next Year? Can The Democrats Retake The House Next Year? Steve Israel's talking point is "problem solvers." He repeats it like a mantra. But there's something else interesting that he said in his interview with USA Today, in response to a question about what it means that the DCCC spent so lavishly in South Carolina a few weeks ago, only to lose-- and by a wide margin-- to one of the most flawed Republican candidates ever, Mark Sanford. Israel pointed out the SC-01 "is one of the 100 most Republican districts in the country (which isn't exactly true. The PVI is R+11 and it's ranked the 118th most Republican): "I made a decision that we're not going to give up on any district and we're not going to give up on any candidate... It would have been easy for me to walk away, but we'll fight wherever we have a chance." Almost sounds less reptilian... and more like Churchill. As we mentioned before a few times, last year Israel very much did walk away from Jim Graves in his race against Michele Bachmann. 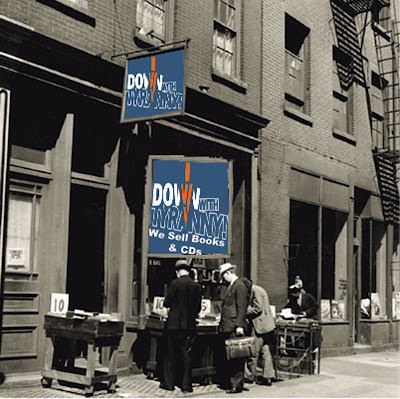 After putting him on the Red to Blue list, Israel decided not to spend any money at all in the district. Bachmann spent $11,946,232 to Graves' $2,279,384 but he came a lot closer to beating her than many of Israel's handpicked candidates where the DCCC spent millions. The 4,197 votes by which Bachmann beat Graves would certainly have been made up had the DCCC spent the kind of money in MN-06 that they spent bolstering losing candidates like Blue Dog Gary McDowell (1,282,979), Blue Dog Brendan Mullen ($483,721), New Dem Julian Schreibman ($2,037,612), Joe Oceguera ($2,649,541) or Pat Kreitlow ($2,069,595) to name a few. And this dozen only includes committee chairs and powerful Members that Israel put off the table, despite their political vulnerabilities and despite, in some cases, excellent Democratic candidates. The good news is that Israel may be lightening up on his protection racket a little and allowing DCCC staffers some leeway in going after vulnerable big shot Republicans. As you can see in the video above, he's very enthusiastic about Jim Graves this time around. There are reasons to believe he is equally enthusiastic about targeting Kline, McKeon and Garrett... at least a small step in the right direction. There's a new national poll out that shows registered voters prefer to have a Democrat win their district than a Republican. And the margin is significant-- 48% of respondents picked the generic Democrat and 40% picked the generic Republican. But voters don't usually chose between generic candidates. That's why recruitment this year will determine what happens in November 2014. One of the easiest districts for a Democrat to win would be FL-27, the seat now held by Ileana Ros-Lehtinen. But there is no recruitment; there is anti-recruitment. DNC chair Debbie Wasserman Schultz has made it abundantly clear to Florida Democrats that she will not tolerate anyone credible running against Ileana, who, like her, is owned by the sugar baron Fanjul brothers. Last year Obama's 7 point margin in FL-27 was one of the highest margins of victory in any district held by a Republican Member of Congress. But Wasserman Schultz had the DCCC make sure there would be no viable candidate. The "Democrat" who ran, Manny Yevancey, still hasn't filed an FEC financial disclosure report, which means he raised and spent less than $5,000. His petitions-- which were commercially collected by a firm in Tampa that was paid by "someone else"-- is almost totally signed by folks in Tampa, not in Miami, Coral Gables, Hialeah, Miami Springs, South Miami, Westchester or anywhere else in Ros-Lehtinen's district. The total signatures on his petitions from Miami-Dade- 12. The total from Tampa- 1,147. And the other counties with significant petition numbers were also on the other side of the state, Hillsborough with 656 and Pasco with 502. Very convenient for Wasserman Schultz and Ros-Lehtinen to have a candidate with no income, no roots and no chance-- and old dirty trick that anti-democracy hacks employee. That all said, there were still 84,899 (37%) voters willing to cast their ballots against Ros-Lehtinen and for an unknown "Democrat" who didn't campaign. Imagine if Steve Israel had ignored Wasserman Schultz' demand that Ros-Lehtinen's seat be off limits and had instead recruited a good candidate and gone after her. 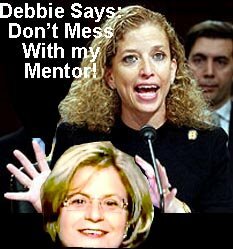 So far this year, Wasserman Schultz is guarding the process like a mad dog again and despite several DCCC staffers who would like to target Ros-Lehtinen, there is no movement whatsoever on recruiting a Democrat with a reasonable chance to win. There is no way for the DCCC to win back the House with this kind of leadership. Israel and Wasserman Schultz are the worst examples of why grassroots Democrats hate Inside-the-Beltway Democrats and why so many refuse to even turn up at the polls on election day. 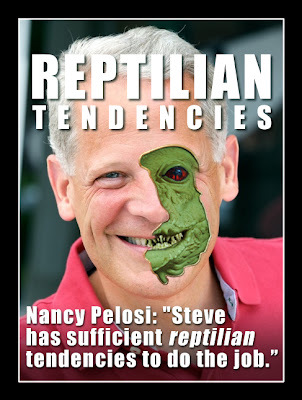 When Nancy Pelosi re-appointed Steve Israel to chair the DCCC again this year, she sealed the fate of her party to be in the minority again for the 114th Congress. Maybe, but do not expect any help from Florida.The problem in Florida isn't just Wasserman-Schultz and the DCCC; it is the ineptitude of the Florida Democratic Party year after year, as well. The main focus in Fl for 2014 will be the governor's mansion. The FDP is strategizing how to lose the governor's race in 2014 so Rick Scott can continue his reign of incompetence for another four years. In 2012, The FDP did not field any candidates for the Florida House in several races, where the Republicans have a 2/3 majority in a state that has 800,000 more (D) than (R). It is a banana republic that gets played by DC Dems and bungled by state donkeys.